"Pirate fishing companies have killed up to 700,000 seabirds snared by accident on their fishing lines in Antarctic waters in the past six years ..."
"The world's largest seabirds, the albatross family, should soon benefit from more protection around the globe ..."
"A British sailor whose name is a byword for fortitude, John Ridgway, has picked a new challenge ..."
"New Zealand has earned special mention in a global environment report"
"The Prince of Wales is supporting attempts to save endangered birds from death in the south Atlantic ..."
"The world's biggest colony of black-browed albatrosses now faces a far more secure future. The colony is on one of two islands in the Falklands group ..."
"More than 300 protected seabirds, including albatross, have been killed by a commercial longline fishing boat off the New Zealand coast ..."
On August 14th 2003, then fisheries Minister Pete Hodgson released a draft plan aimed at reducing the number of seabirds killed through fishing. The draft plan will apply to both commercial and non-commercial fisheries. Albatross and petrels are particularly vulnerable to fishing as they dive for freshly baited longline hooks. As many as 13 species of albatross and 16 species of petrel have been recorded to have been caught in New Zealand fisheries during the past seven years. Mr Hodgson claims in a statement that "within the fishing industry, many voluntary steps have already been taken to reduce seabird mortality." "The draft plan allows for the industry to advance these voluntary measures in the first instance. However, if a voluntary approach fails, the plan allows the Government to introduce mandatory measures." 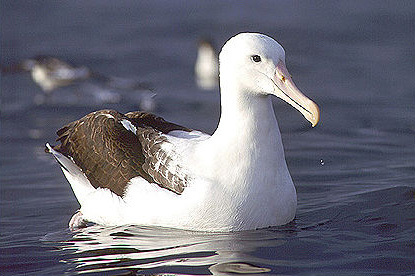 See the factsheet or full plan of the"Draft National Plan of Action to Reduce the Incidental Catch of Seabirds in New Zealand Fisheries"
More than 10,000 albatrosses and petrels are killed each year in New Zealand waters by trawling, longlines and set nets. The government's willingness to entrust the fishing industry with voluntary action must be questioned, considering the industry's lack of action and the kill rate of birds during the last 10 years. The life of endangered seabirds is so critical, that the strongest possible mitigation measures are necessary. Voluntary action will never achieve bycatch reduction results as well as mandatory regulated and enforced requirements. A small number of noncomplying boats can cause considerable damage. During six-weeks of fishing for ling in the Chatham Rise at the end of 2001, 293 petrels and 11 albatross were killed by longlines set by one Nelson-based fishing boat. More seabirds breed in New Zealand, in particular the subantarctic islands, than any other place. The country is home to 54% of albatross, and half of the shearwaters, petrels and prions of the world. 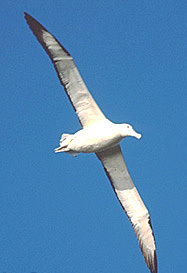 The Royal albatross colony at Taiaroa Head on the Otago Peninsula is the world's only mainland albatross breeding colony. 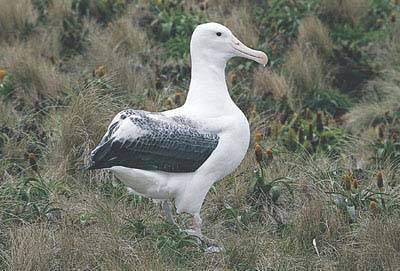 Sixteen species of albatross are identified as globally threatened in the 2000 IUCN Red List, compared to only three in 1996. All of the 11 albatross species that breed in New Zealand are listed(shown right). Eight of them only breed in New Zealand. As a member of the United Nations International Plan of Action for Reducing the Incidental Catch of Seabirds in Longline Fisheries (IPOA), New Zealand is committed to develop a National Plan of Action (NPOA) to reduce the incidental catch of seabirds in New Zealand fisheries. Only four other nations, Australia, France's Southern Territories, South Africa, and the United Kingdom's Overseas Territories get the privilege of albatross breeding in the southern oceans. New Zealand has a heavy burden, but also the responsibility to set the highest standards of protection for seabirds both in New Zealand waters when they are feeding, and when they are breeding on land. BirdLife International reports that worldwide, more than 300,000 seabirds are killed by longline fishing each year. A total of 26 species of seabirds, including 17 species of albatrosses, are in danger of extinction because of deaths caused by longlining. Albatrosses and petrels habitually follow boats to scavenge discarded fish waste. They are attracted to the bait on hooks of longlines as they enter the water, and are dragged under to drown, or are seriously injured by the hook. Mitigation measures that prevent seabird drowning from longline fishing are currently being effectively used in some areas. One effective method involves setting the line through an enclosed tube attached to the boat and extending below the surface of the water, which separates the bait from the birds. Other measures are longline setting at night when birds do not feed, using unfrozen bait that does not float, adding weight to lines to sink them faster, and dying bait blue so it is not attractive to birds. Tori lines with streamers attached are used to distract the birds. Another common sense measure is the dumping of fish waste when lines are not being set. In regulating fishing in Antarctic waters, the Commission for the Conservation of Antarctic Marine Living Resources (CCAMLR) requires closure of areas and seasons with respect to bird activity (at times for 5 months in some areas), use of tori lines, night setting, weighted hooks, 100 percent observer coverage, and restriction of offal dumping during the setting of longlines. New Zealand boats fishing in Antarctic waters are required to meet CCAMLR mandatory requirements, but are not required to operate with the same preventative measures in New Zealand waters. New Zealand is a member of CCAMLR and has supported strong regulation in Antarctic waters, but is not prepared to impose the same requirements in New Zealand waters. Japanese tuna boats operating in New Zealand waters have lowered annual seabird by-catch from 4,000 birds to less than 20 birds. A significant reason for this is the continuous presence of observers on all boats and strict requirements. Yet a New Zealand fishing boat caught 304 seabirds in one six-week voyage. Currently the only measure in place to reduce seabird deaths is a requirement for tuna boats to use tori or bird scaring lines. There are no requirements for other longline vessels fishing for other species, or for trawlers or set netters. Write to the Ministers of Fisheries and Conservation expressing the need for mandatory requirements for longline, trawl and net fishing practices to prevent the killing of seabirds. Copyright © 2003 - 2006 TerraNature Trust. All rights reserved.